The implementation of coordinated development strategy of Beijing-Tianjin-Hebei，will bring a lot of logistics base reform, but also will bring business opportunities for logistics enterprises. In a recent paper by author Dou Xin-Xin and Wang Xiao-ping, who have Introduced the newest policy about the coordinated development strategy of Beijing-Tianjin-Hebei, and take the Beijing Tong Zhou logistics base for example, with SWOT analysis, summarizes the advantage and weaknesses of Beijing Tong Zhou logistics base under the background of the integration of development of the Beijing-Tianjin-Hebei, and giving the corresponding countermeasures. “Breaking administrative division limit, guiding the cross-regional integration of logistics resources and optimize configuration, realizing the logistics integration of the Beijing-Tianjin-Hebei region, is the objective need of modern logistics industry development, also is the coordinated development of Beijing-Tianjin-Hebei important action”,Dou Xin-Xin said. In the paper, the authors show that the coordinated development of Beijing-Tianjin-Hebei and strategic direction, and then analyzes the development of national policy how to affect the enterprise, especially the logistics enterprises。With the purpose of resolving Beijing"big city disease”, to optimise Beijing logistics resources. Taking Beijing Tong Zhou logistics base as an example, with the SWOT method, analysing the advantages and disadvantages of the base, and gives solutions, and ultimately to achieve the purpose of the base resources are fully utilized. Dou Xin-Xin goes on to suggest that “Serve Beijing-Tianjin-Hebei and Common Development; Use of Science and Technology, and Efficient Development; Ecological Barrier, Green Development; Policy Support, Healthy Development.” The advice is proposed based on that consult a large number of documents and experts to discuss; I believe will be conducive to the development of logistics base in Tong Zhou, Beijing. 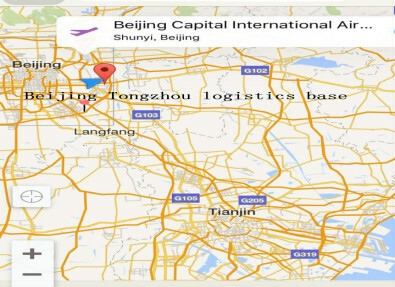 To achieve the optimal allocation of logistics resources in Beijing, then the optimization node about affecting economic development and people's livelihood must be key emphasis in work, the series of changes brought by the integration of the Beijing-Tianjin-Hebei region, the influence of the whole logistics industry of Beijing, Beijing logistics industry to make timely adjustment, to avoid the logistics resource waste, avoid the waste of resources is also the focus of the resource optimization. Concept of collaborative development of the Beijing- Tianjin- Hebei region, not only affects the Beijing- Tianjin- Hebei adjustment, the three areas of the industry chain for north China region and even the whole China's industry development provides opportunities and challenges. Dou Xin-Xin,graduate student of Beijing Wuzi University, the main research direction for the logistics integration of the Beijing-Tianjin-Hebei region, the logistics park planning. Wang Xiao-ping,Associate professor and Associate Dean, of School of logistics, Beijing Wuzi University, Ph. D., main research direction for the logistics integration of the Beijing-Tianjin-Hebei region, logistics information, etc.